When concrete blocks don’t meet the aesthetic standards of the project, turning to natural stone can be a viable solution. Stones can come in all different shapes and sizes. 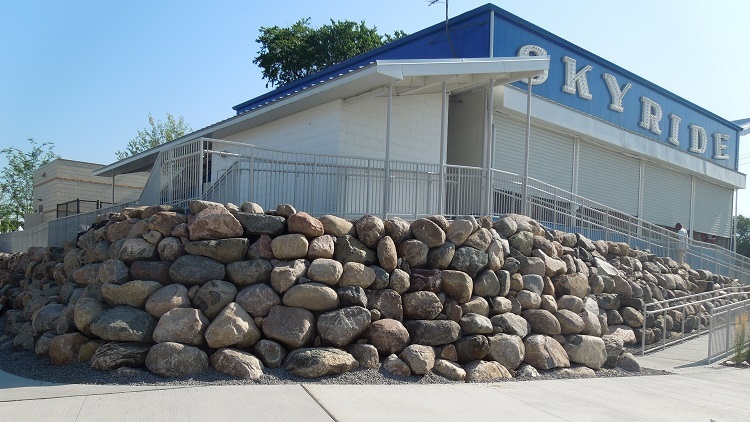 Bigger stones can assist with constructing a gravity wall and eliminate the need for geogrid reinforcement. Or, multiple sizes can be used to achieve a mosaic pattern. 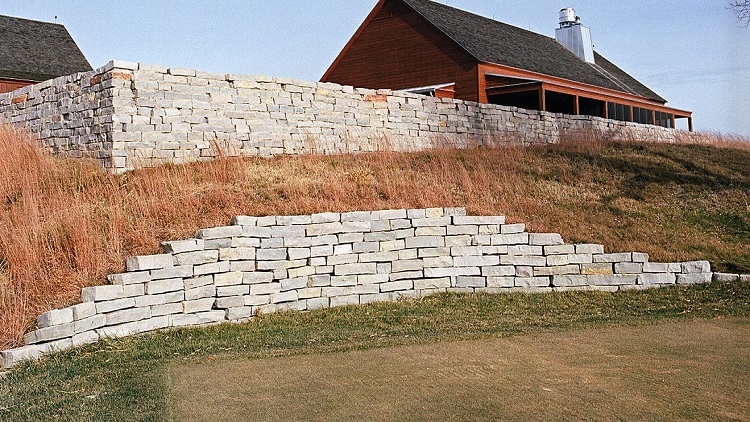 No matter the pattern, any wall can be reinforced with geogrid if needed to add extra strength for support of the load baring on top of the wall. All our stone walls are strategically designed by an engineer to make sure the wall can preform with the stone that is selected. The quality aesthetics of natural stone can be a unique addition to any construction project.